The ever-changing PR, Marketing & Communications environment means that maintaining consistency while evolving as an agency is vital. We identify three major drivers of change in the industry and highlight the three integral motivators that should remain consistent in a successful agency, regardless of the ever-changing nature of the business. While Social Media has been a widely-used platform in the industry for quite a while now, the complexity of consumption habits is rapidly evolving. Users are a lot more aware of the intentions and purposes of social media platforms, the algorithms being used, and the data collection in effect online. Consequently, PR and marketing agencies must ensure they don’t assume ignorance and naivety on the part of audience members. Consumers are far more empowered in today’s climate and seek transparency, as well as reassurance from brands, when it comes to advertising and influencer content. For top agencies, it is vital not only to be aware of consumption habits, but also to utilise them for the benefit of clients and consumers. Traditional PR practices are experiencing an intense period of evolution. Disruption has become the name of the game – particularly digital disruption. Katch International has moved on from adopting the strictly traditional PR approach we used eight years ago. We are now a team of digital disruptors, challenging ourselves to go beyond telling the same stories again and again. Our mission centres on successfully transforming client and brand stories so that they make a worthwhile impact on digital mediums. More importantly, with the amount of content currently available for consumption, we strive to rise above the noise. Agencies must always be on the lookout for the most advanced and disruptive targeting techniques, interactive engagement, augmented reality, and unique creative services. Therefore, you must not follow! You have to disrupt! The disruptive era of PR brings with it a new generation of talent. Recruiting tech-savvy, digitally shrewd candidates is essential if you plan on effectively harnessing the skills and qualities of the new generation to benefit your organisation. Build a team of individuals who thrive in a challenging environment, think on their feet, and are willing to constantly evolve their approach to PR and Marketing! The oft-discussed 360° approach is critical; however, it also essential to surround yourself with people who truly recognise the power of integration, interaction, engagement, and evolution in this industry. It shouldn’t be about abandoning the traditional values and motivators driving your agency. Instead, it should be about adapting and evolving on a daily basis and never fostering a ‘one-size-fits-all’ philosophy. The agency attempting to function as a one-trick pony will soon find out that times have changed and standing still means being left behind. There can be no denying the necessity to embrace change and evolve as an agency; nevertheless, certain aspects of your overall PR and Marketing philosophy should remain consistent. Katch is fuelled by passion, not trends. From day one, our agency has grown based on a passion and desire to develop genuine, meaningful connections with our clients. Technology has advanced massively over our eight years in business and we have developed into a truly digital brand. Instead of letting it take over, though, Katch has harnessed the powerful complexity of technological advancement to complement our driving values and facilitate the passion and vision of the agency. Clients react positively and gain confidence from a PR agency that goes the extra mile. Maintaining passion and integrity for the job at hand, regardless of size, budget or client expectations, is crucial. In an industry that has transformed massively and is continually changing, passion should remain at the root of every aspect of what you do in PR and Marketing. It should never be sacrificed, never undervalued and always in abundance. A common concern we hear when pitching to prospective clients is the lack of a personal touch in the industry. Every facet of a campaign should be personalised as much as possible, tailored to appeal to the needs of the consumer. People need reassurance that a brand cares about them as individuals. PR professionals, marketers and advertisers shouldn’t treat the personal touch as an additional part of what they do; it should be at the core of every element of their work, from consumer engagement to client interaction. This is the mentality that the Katch team has carried forward since the beginning. 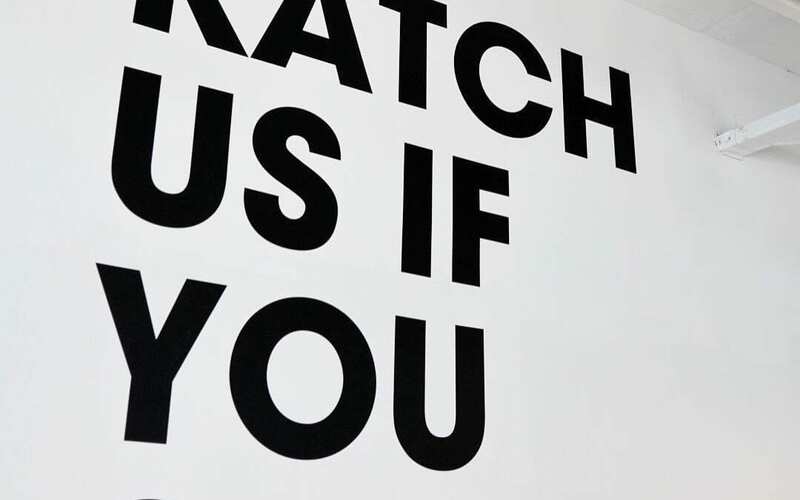 Ultimately, we are in the business of creating, and each member of the Katch team, from the PR department to our social media experts and design team, is a creator. But more than that, we always look for purpose in what we create. The ‘Why?’ behind our work is just as significant as the ‘What?’ No matter how the landscape of PR and Marketing changes, we do this job because we love to create. We remain dedicated to producing purposeful communications. The modern consumer wants to understand why a brand deserves his/her money, loyalty and love, so whether it is the creation of content, brand concepts, campaign ideas or relationships, we never lose sight of what drives and motivates us in this industry: the desire to create with purpose. Couldn’t agree more Eamonn, a very interesting perspective indeed!